Geoff, can you help me find a job? If you’ve ever lost a job then you know the myriad of feelings one goes through, but FEAR seems to stand out the most, especially as time goes on. I can empathize with their struggle as I’ve been there myself, but you must get on the other side of fear, and that is through LOVE; self-love is best. I am a smart, talented individual who is worthy of securing a great position. I am confident in who I am and what I bring to the table. I will secure employment in the next 30 days by giving 110%. Lately, I’ve been getting an enormous number of requests from others around the world asking if I can help them find a job. #1. Resume’s must WOW the reader. 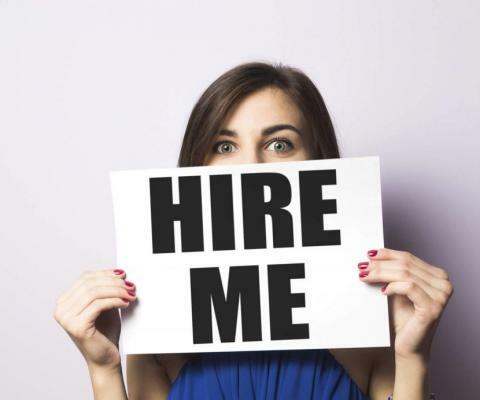 The resume is often your first impression, although you should be personally branding yourself so the Internet is filled with your demonstrated experience. You will hear statistics such as you’ve got 6-10 seconds to WOW the reader, and while that is subjective, regardless – you must have an impressive resume to start. i. Start by going to https://koboldt.com/about-geoff-koboldt/and see how I constructed my own past resume. What I advise people to do is be very specific about the type of industry and the type of job you want to go after. Towards that end, find at least 5 job postings with that exact criteria and make sure you have the relevant keywords. Example: Let’s say you want to work in the technology industry as a financial analyst. Pick: Google, Apple, IBM, Microsoft and Intel. Then evaluate each company’s posting for “financial analyst”. Extract the 30-50 keywords that you see and list them out in order, highlighting which ones are seen multiple times. Check off one by one if you have that skillset or not. For those that you do, put it on the resume. For those that you do not, go find a way to learn it. G. Spelling is correct (triple check!!! ), dates are consistent (November, 2015 – January, 2016, not 11/15 – January, 2016), etc. ii. Utilize free resume templates, although please understand – I highly encourage you to spend the money to hire a GREAT resume writer, as cookie cutter resume templates won’t help give you that WOW factor, that a resume writer can do. If you need resume writing recommendations, send me a message and I’ll send you my vetted list of recommendations. Range is $250-$1500. Note, that I paid $800 for mine and it was worth every single penny. If you could increase your salary by $10k, wouldn’t it be worth it? I’ll be writing a future article on this topic. After you’ve done these two items, draft a new polished resume and get some feedback from other professionals, including your Linkedin network. #2. Networking / Interviewing / Etc. This should get you started for now… but understand, there are many more things you need to do to increase your chances of job success – personal branding, linkedin presence, interviewing, networking, etc. I’ll write more articles on each, very soon. Blessings on your job search. I believe in you!